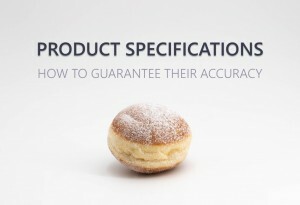 Product specification management - the accuracy of specs! Before developing a product, a great number of information and data needs to be retrieved, gathered and organized. From suppliers and raw materials’ information to all related documentation such as certifications, it is challenging to ensure that these data are accurate and readily available at any time. It is also important to ensure that any change concerning a data (e.g. : increase of a raw material price, introducing a new allergen, different nutritional values, etc.) is taken into account as soon as it is known. Collaboration and communication play important roles in ensuring the accuracy of each finished product specification. However, they are not always optimal as information is often scattered across the different departments and teams, from marketing through research and development to quality. Teams do not always have access to the right information at the right time. Moreover, most of the time, businesses do not have the appropriate processes in place to share these data, usually relying on e-mails to share information. The accuracy of the finished product specifications depend on the data used. It is necessary to have complete and up-to-date information during the entire product development process. You need to make sure that the data of each component used in a product is available and accurate. However, it is an error-prone and time-consuming task to manually gather this information and ensure its accuracy. It is also a long process to check that each required product specification has been created and complies with internal requirements as well as regulations in force. Product specification management : what can you do to ensure that each product specification is accurate? 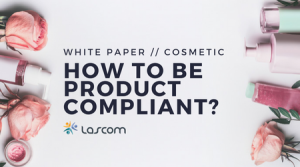 Information is key to ensure that all the product specifications are properly identified. However, a product is made of several components with their own specifications. A high volume of information is generated and it can quickly become overwhelming to efficiently handle all these data. Therefore, it is important to store, in a single knowledge base, all information related to a product, from suppliers’ details, through raw materials’ characteristics to attached documents. You need a unique knowledge base that centralizes all information. It ensures that all data are readily available and accurate. You will then be able to retrieve the right information at the right time and the right place. How can Lascom help you? Lascom provides a unique knowledge base which stores and consolidates all information related to a product. The solution automatically structures these data to create a coherent knowledge base. 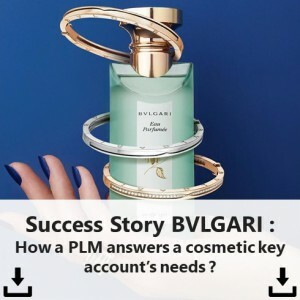 It also manages how one item is related or linked to another one. For instance, it will automatically link a raw material to its supplier and to all the products using it. 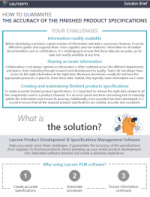 Lascom PLM offers you the possibility to quickly search for any data using specific criteria. It is then easy and quick to retrieve all the data required to develop a product. The solution has features allowing you to automatically import information from suppliers, reducing re-keying errors. Communication and collaboration are important to ensure that each product specification is checked during a product development. It is essential to understand who is responsible for which task and at which step of the process. You should implement a validation process that clearly outlines the different approval steps and the person assigned to them. This should ensure that each specification is checked and approved on time. Lascom customizable workflows accelerate the entire validation process of a raw material, document and finished product specifications. Authorized users pre-define workflows that set all the different steps required to approve an item. It is also possible to assign a step or task to a specific user. When the validation process starts, it automatically triggers the different tasks based on the steps you have predefined. These workflows are completely customizable to suit your business needs. 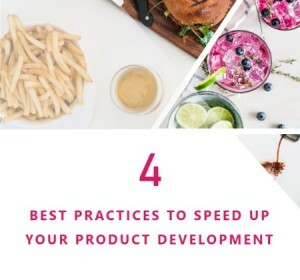 It is common for a product to evolve or change, such as switching from one supplier to another, changing an ingredient for a new one with different specifications, renewing a product range, and so on. Since change happens, it is important to appropriately manage it. 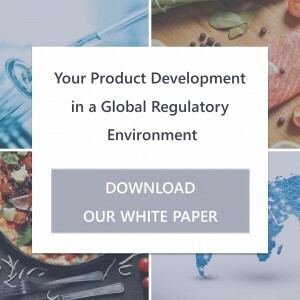 Every time a change affects an existing product, it is crucial to assess the impacts and update the product’s characteristics, as soon as possible. Lascom offers a unique knowledge base which automatically creates links between its various elements. Therefore, when an element of the repository is modified (e.g. : the nutritional values of a raw material changed, its cost increased, a new allergen is introduced, etc. ), the solution offers the possibility to automatically re-calculate and update the finished product specifications. In other words, when you modify one element directly in the database, such as a raw material, it can automatically update all impacted finished products’ characteristics, using the latest data. If you have a project and would like to discuss with us, contact us and we will be pleased to answer any of your questions. Share the post "How to Guarantee The Accuracy of Your Specifications ?"